Next Monday’s (8 April 2019) introduction of the London Ultra-Low Emission Zone (ULEZ) will have a “crippling effect” on the London economy, leaving fleets to stomach a “damning cost”. That’s the view of Charlie Mullins, CEO and founder of Pimlico Plumbers, as he labels the scheme as a “mad and unrealistic ‘quick fix’ plan”. The business runs a fleet of more than 250 vans, of which 150 will be deemed non-compliant under the scheme. 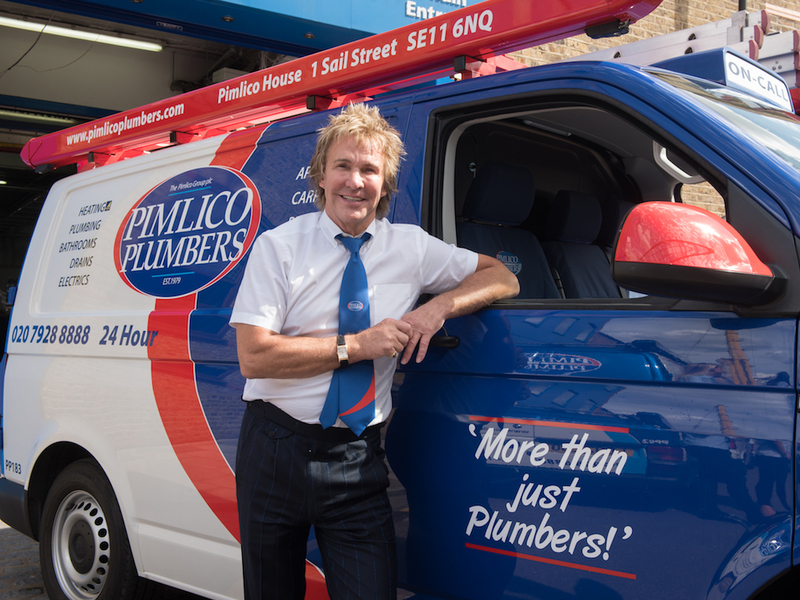 As a result, if Pimlico Plumbers keeps running its vans in central London, where it’s based, it would cost £908,000 annually in penalties. Replacing them on the other hand will cost a whopping £4.5m. Mullins said: “I wonder if Khan has really considered and understood the potential cost in jobs of this whimsical piece of law making. Although Mullins agrees that London needs to address its pollution levels, he says this should be an organic process, where vehicles in use, realise their full expected lifespan. “Once older non-compliant vehicles end their useful life, all new ones will be fitted with Euro 6 engines in any case,” he continued. “So, I don’t see why we’re rushing into this, when it’s just going to hit the backbone of the UK economy – businesses! His comments come as the CBI (Confederation of British Industry) warns that some smaller firms could struggle to afford the switch to low emission vehicles, and for some larger vehicles, there are simply no low emission alternatives available. And while Centre for London has highlighted that the ULEZ is an important and much needed environmental measure, it’s also warned the scheme will have limitations. Silviya Barrett, research manager, said: “It will have limited impact on some forms of pollutants and on reducing overall car usage; some argue small businesses and those on lower incomes will be adversely affected; and, being a flat charge, it may perversely incentivise people to drive more to get value from their payments. Meanwhile digital marketing specialist Sophus3 has added its view that car owners are also being impacted by the acceleration of ULEZ legislation before tempting alternatives are available. The firm’s analysis shows growing interest in electric cars over the past 12 months in the UK. Online research into hybrid and pure EVs has doubled and the four most popular pure EV models saw their online interest increase by 109%. Yet this interest, which would drive significant improvement in emissions reduction if converted into sales, is not yet matched on the car forecourts. In response, Sophus3 said the combined challenges of an immature infrastructure, lack of incentives and perks, and limited supply of EV cars to buy today, combined with continued consumer confusion over EV ownership, is stifling demand just as the ULEZ legislation is introduced. Instead the firm is asking if more could be done to facilitate the purchase and ownership of electric cars. Scott Gairns, managing director, Sophus3, commented: “Based on the online car buyer research behaviour we see in the UK, Sophus3 believes that the ULEZ really puts the cart before the horse. There is demand now for EVs and we would advise that serious consideration is given to promoting the Norway model of a range of perks and incentives combined with aggressive EV targets.